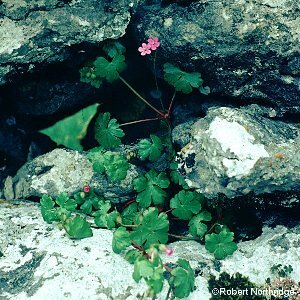 A plant occurring mainly on limestone rocks eg in Fermanagh. It has a characteristic shiny leaf and small purple flowers. In the Belfast area it occurs as a prolific weed of gardens and may not be native thereabouts. 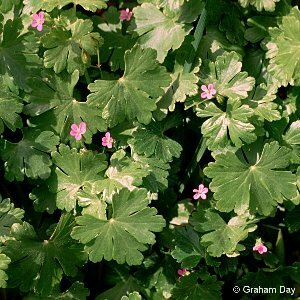 All names: Geranium lucidum L.